Several barriers will need to be overcome before next generation IIoT systems are widely adopted across manufacturing industries. This blog posts covers the top 3, that include the establishment of industry standards around IIoT, cyber security protection, and workforce adaptation to new sets of skills. Standards are required to allow smart connected products, machines and assets to interact in a transparent fashion. This goes beyond the simple communication protocols, and involves the creation of standard semantics and mechanisms that will allow smart devices to discover each other and interoperate. Some standards, such as PackML, do exist in this area, but they are incomplete and do not cover all aspects of manufacturing. The Industry 4.0 and the Industrial Internet Consortium initiatives are currently addressing the question of standardisation. The advent of the IIoT is accelerating the need for cyber security in industrial control systems. The complexity of IIoT will mean that cyber security must be designed into the components that make up the automation system. The adoption of industrial security standards with certification will be essential to the advancement of IIoT because it will ensure the security not just of individual assets but also of the larger systems and systems of systems. These certifications will play a role similar to those which occur in the realm of safety certifications. Adherence to the certification means that the elements of a system hold the key security building blocks. The elements are combined in a secure way by security certified teams and are operated as a secure system by security trained operators. The key to security certification is consistency and applicability. Worldwide, the IEC62443 series of security standards covers all elements of security from product development through to product features, system features, delivery and operation. It is important to note that while today some independent bodies offer certification to IEC62443, IEC itself has not yet endorsed any of these bodies for IEC62443 certification. Complementary to IEC62443 security standards, existing industrial standards are also evolving to be more secure. DNP3 has evolved to DNPV5 to add security, OPCUA offers significant security enhancements, Modbus is evolving to Modbus Secure, EtherNET/IP is becoming EtherNET/IP Secure. In addition many IIoT systems are adopting security features derived from existing IT standards such as HTTPS, certificates, and encrypted/authenticated protocols. The skill-sets required to design and operate an IIoT-based system are somewhat different from those needed to run a classical automation system (see Figure above). A significant amount of re-training will be required for existing operators and maintenance staff to manage such systems. The good news is that the IIoT systems will use technologies that are familiar in everyday life, and the new generation of young operators will have no problems adapting to this new approach. The main challenge for automation suppliers will be to design and supply diagnostics/debug tools that can rapidly identify the root cause of problems. This will ensure that a malfunctioning or downed system can be restored quickly. 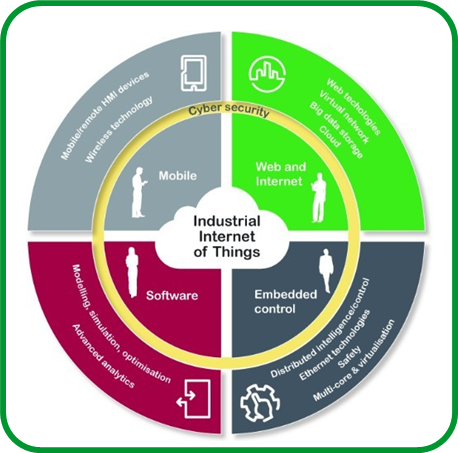 This blog post authored by John Conway, Schneider Electric’s VP for Strategy & Partnerships and was first published as part of the ”The Industrial Internet of Things: An Evolution to a Smart Manufacturing Enterprise” white paper. 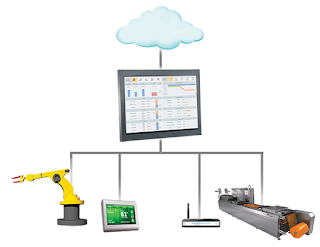 The next blog post will focus on the IIoT impact on automation architectures. Stay tuned.